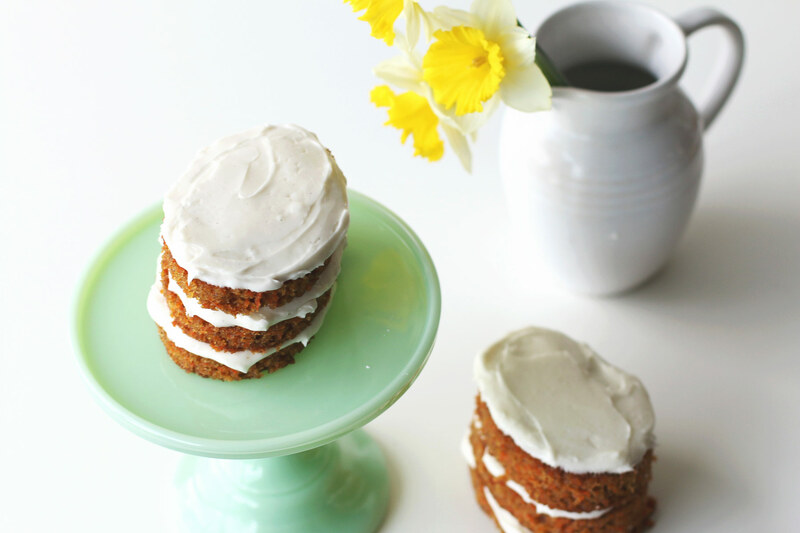 Naked cakes are the perfect dainty dessert for springtime. 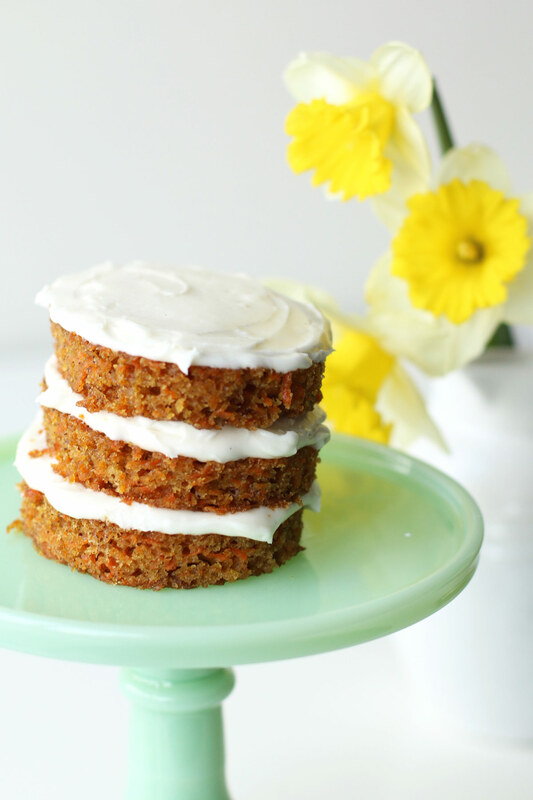 Especially when you use an egg shaped cookie cutter to add an Easter twist and this carrot cake recipe to add a little flavor. They are the perfect little cakes to serve at any event. Preheat oven to 350 degrees Fahrenheit. Flour and grease a baking sheet. 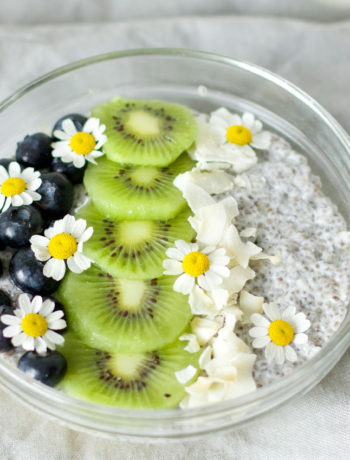 In a large bowl, combine eggs, oil, white sugar, and 2 teaspoons of vanilla. Beat together with an electric mixer. Combine flour, baking soda, baking powder, salt and cinnamon. Stir in grated carrots. 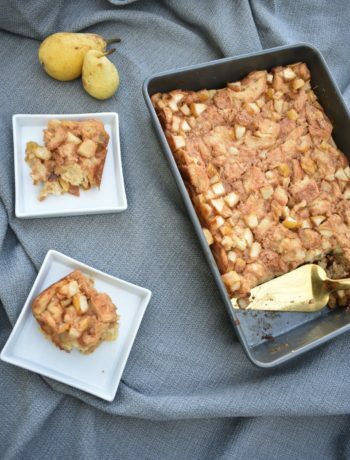 Pour into the baking sheet and bake for 30 minutes, or until a toothpick can come out clean. 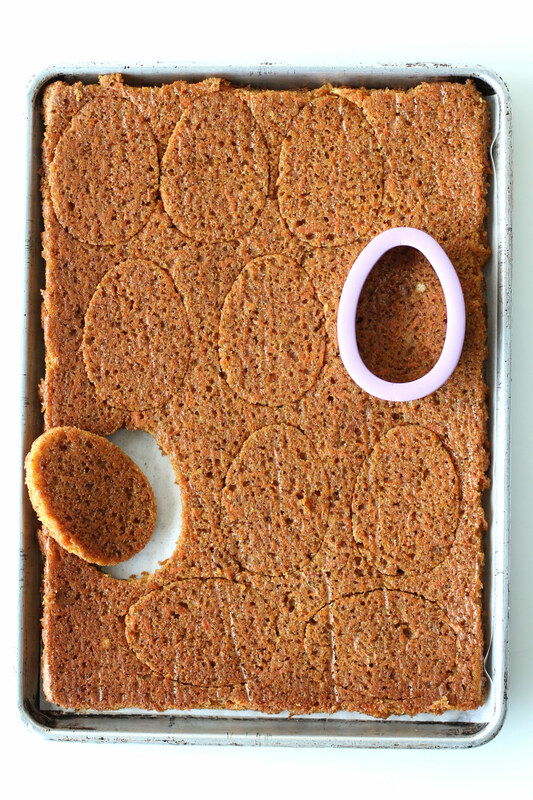 Let the cake cool before using the cooking cutters to cut out your desired shape of cake. We used an egg shaped Easter cookie cutter, but don’t shy away from the other cute springtime shapes. For the frosting, mix together the cream cheese, butter, and vanilla with an electric mixer. Slowly pour in the sugar. Beat together until the frosting becomes smooth and creamy. Frost between each layer. We made ours 3-layers tall, however, you can make yours shorter or taller depending on your preference.